As a kid growing up I loved camping and enjoying the Great Outdoors. The thought of exploring remote areas where few had gone before with all I needed to survive on my back appealed to me. It was fun to have and use all of the gear and equipment: Tents, sleeping bags, backpacks, camp stoves, vests, jackets, beanies, water bottles, flashlights, etc. 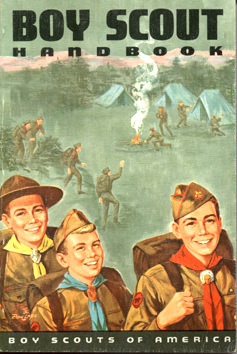 Some of my friends growing up were Cub Scouts and Boy Scouts; I was never one myself, but I somehow got a copy of the Boy Scout’s Handbook and drank deeply from it. 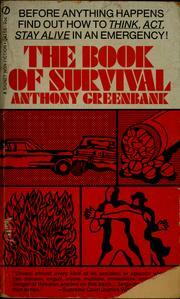 Of course the Boy Scout’s Motto is “Be Prepared”. Whatever activity I was involved in, whether it was snow camping in the Sierra Nevada mountains, rock-climbing in Joshua Tree, riding my crotch rocket through the Ortega Highway, or simply commuting to and from work, the thought of responding capably to situations that could cause harm to me or my loved ones through forethought and preparation has been an abiding interest of mine. Working in the environmental field (wastewater treatment/water recycling) provided the opportunity to build on many of the lessons I learned as a kid, through continuous training on such hazards as waterborne diseases; slips, trips, and falls; high voltage electricity; numerous chemicals; and, yes, workplace violence. At one point in my career I was a member of a water agency’s First Responder team where we trained on how to respond to emergencies of various kinds using different levels of protective gear and drilled on responses and tactics appropriate for the emergency scenario. It was great fun and I’m glad I had the opportunity to be involved in it. When an emergency occurs, the first order of business is to size up and prioritize the threats and hazards. A common rule of thumb among those who think of such things is the ‘Rule of 3’s’, which stipulates that in an extreme situation you cannot live more than 3 minutes without air, 3 hours without shelter, 3 days without water, and 3 weeks without food (of course there are exceptions based on your particular situation). In 2010, the City of Boston experienced a sudden crack in its thin crust of civilization when a main pipe that transmitted drinking water into the city and surrounding communities ruptured. Suddenly, unexpectedly, a precious resource essential to human life that millions of people took for granted became an exceedingly scarce resource that fellow Bostonians got into fistfights with one/another to get. Ugly. Since I live in the hot, arid Southwest (should have enough air) and own a home and ample clothing (should have enough shelter), my primary focus has been on getting through a crack-in-the-crust-of-civilization event by having enough drinking water on hand. A rule of thumb for drinking water is 1 gallon/person/day. My water need calculation includes my family, friends, and neighbors (neighbors who stick together dramatically increase their odds of survival, besides, they’re my neighbors). I have tried cheap 1-gallon containers, rectangular-shaped 2.5-gallon containers, and 16-ounce individual bottles (all plastic) found at most grocery stores. The 1 and 2.5 gallon containers didn’t work because they were flimsy/harder to store and leaked. The 16-ounce containers didn’t work because my wife would raid the supply before shopping day. What has worked for me are the 6-packs of 1-gallon containers that Costco sells (current price is $4.09/6-pack plus small recycle charge). These Costco 6-packs of water come in plastic containers that are beefier than most others I’ve seen and they’re packaged in a way where it’s easy to stack them to conserve storage space. I know some who store backup water in trash-can sized containers. It’s up to you to experiment and determine which water storage technique is right for you. And you’ll be doing your neighbor a good turn by being prepared yourself. Because if you have enough of what you need to tie you through an emergency, that means more resources for the truly needy can then be allocated to them, and you can stay away from some of the nastiness associated with social upheaval caused by a scarcity of resources.